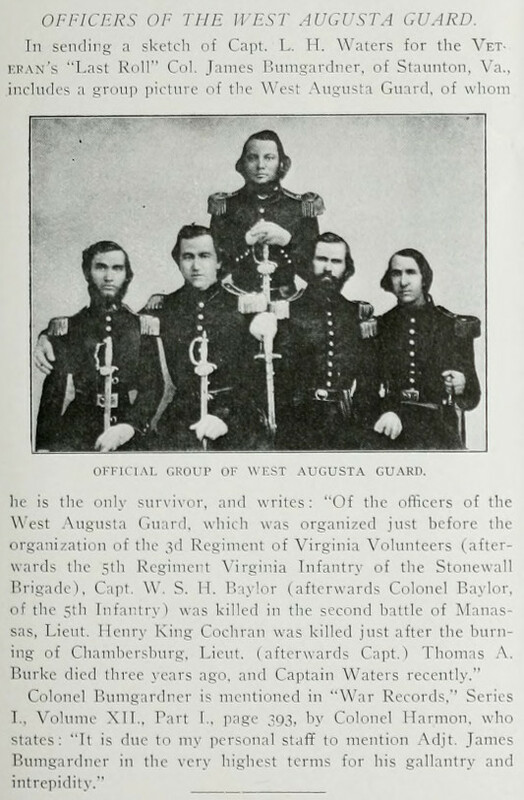 Officers of the West Augusta Guard, Augusta, Virginia. July, 1913. SOURCE: Confederate Veteran Magazine, July, 1913.